Ruth B. Goldstein, MD, is an Emeritus Professor Radiology and Chief of Ultrasound in the Department of Radiology at the University of California, San Francisco. At UCSF, Dr. Goldstein has active roles in the clinical programs of Fetal Treatment, Transplant, Nephrology, Surgery, and Obstetrics and Gynecology. 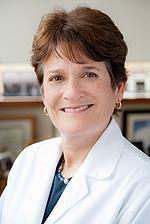 Dr. Goldstein received her medical degree from UCSF in 1979. She completed an Internal Medicine internship at the University of Minnesota Hospitals in 1980. In 1982, she completed a fellowship in Nuclear Medicine at the Michael Reese Hospital and Medical Center in Chicago, Illinois. From 1984-1985, Dr. Goldstein served as Chief Resident and in 1985 she completed her Diagnostic Radiology residency at UCSF, followed by a one-year fellowship program in Ultrasound from UCSF in 1986. Dr. Goldstein is a clinical researcher, and her main academic interest is improvement of sonographic observations in fetal imaging. She has extensive experience in other prenatal therapies including radiofrequency ablation of cardiac twins, laser ablation for twin-transfusion syndrome, and prenatal repair of fetal myelomeningocele. Dr. Goldstein also has ongoing research in thyroid cancer imaging and pre-operative evaluation and long-term outcomes of patients with thyroid nodules. Dr. Goldstein has written extensively on the fetal central nervous system, fetal cerebral ventricle and posterior fossa, and on the management of fetal congenital diaphragmatic hernia. Dr. Goldstein has published over 127 articles and 34 book chapters. Shulman R, Sparks TN, Gosnell K, Blat C, Norton ME, Lee H, Gonzalez-Velez J, Goldstein RB. Fetal Congenital Pulmonary Airway Malformation: The Role of an Objective Measurement of Cardiomediastinal Shift. Am J Perinatol. 2018 Sep 10. Morgan TA, Piper SL, Lattanza LL, Goldstein RB, Link T, Motamedi D. Distal Forearm Fracture Open Reduction-Internal Fixation: Sonographic Detection of Hardware Malalignment and Associated Tendon Injuries Missed by Radiography. J Ultrasound Med. 2017 Oct; 36(10):2173-2177. Smith-Bindman R, Aubin C, Bailitz J, Bengiamin RN, Camargo CA, Corbo J, Dean AJ, Goldstein RB, Griffey RT, Jay GD, Kang TL, Kriesel DR, Ma OJ, Mallin M, Manson W, Melnikow J, Miglioretti DL, Miller SK, Mills LD, Miner JR, Moghadassi M, Noble VE, Press GM, Stoller ML, Valencia VE, Wang J, Wang RC, Cummings SR. Ultrasonography versus computed tomography for suspected nephrolithiasis. N Engl J Med. 2014 Sep 18; 371(12):1100-10. Aziz S, Wild Y, Rosenthal P, Goldstein RB. Pseudo gallbladder sign in biliary atresia--an imaging pitfall. Pediatr Radiol. 2011 May; 41(5):620-6; quiz 681-2. Huh NG, Hirose S, Goldstein RB. Prenatal intraabdominal bowel dilation is associated with postnatal gastrointestinal complications in fetuses with gastroschisis. Am J Obstet Gynecol. 2010 Apr; 202(4):396.e1-6. Wang ZJ, Meng MV, Yeh BM, Goldstein RB. Ureteral fibroepithelial polyp. J Ultrasound Med. 2008 Nov; 27(11):1647-9. Poder L, Coakley FV, Rabban JT, Goldstein RB, Aziz S, Chen LM. Decidualized endometrioma during pregnancy: recognizing an imaging mimic of ovarian malignancy. J Comput Assist Tomogr. 2008 Jul-Aug; 32(4):555-8. McKenna DA, Poder L, Goldman M, Goldstein RB. Role of sonography in the recognition, assessment, and treatment of cesarean scar ectopic pregnancies. J Ultrasound Med. 2008 May; 27(5):779-83. Grethel EJ, Farrell J, Ball RH, Keller RL, Goldstein RB, Lee H, Farmer DL, Harrison MR, Nobuhara KK. Does congenital diaphragmatic hernia associated with bronchopulmonary sequestration portend a better prognosis? Fetal Diagn Ther. 2008; 23(4):250-3. Vu L, Tsao K, Lee H, Nobuhara K, Farmer D, Harrison M, Goldstein RB. Characteristics of congenital cystic adenomatoid malformations associated with nonimmune hydrops and outcome. J Pediatr Surg. 2007 Aug; 42(8):1351-6. Goldstein RB. A practical approach to fetal chest masses. Ultrasound Q. 2006 Sep; 22(3):177-94. Clifton MS, Goldstein RB, Slavotinek A, Norton ME, Lee H, Farrell J, Nobuhara KK. Prenatal diagnosis of familial type I choledochal cyst. Pediatrics. 2006 Mar; 117(3):e596-600. von Koch CS, Glenn OA, Goldstein RB, Barkovich AJ. Fetal magnetic resonance imaging enhances detection of spinal cord anomalies in patients with sonographically detected bony anomalies of the spine. J Ultrasound Med. 2005 Jun; 24(6):781-9. Glenn OA, Goldstein RB, Li KC, Young SJ, Norton ME, Busse RF, Goldberg JD, Barkovich AJ. Fetal magnetic resonance imaging in the evaluation of fetuses referred for sonographically suspected abnormalities of the corpus callosum. J Ultrasound Med. 2005 Jun; 24(6):791-804. Glenn OA, Norton ME, Goldstein RB, Barkovich AJ. Prenatal diagnosis of polymicrogyria by fetal magnetic resonance imaging in monochorionic cotwin death. J Ultrasound Med. 2005 May; 24(5):711-6. Miller SP, Cozzio CC, Goldstein RB, Ferriero DM, Partridge JC, Vigneron DB, Barkovich AJ. Comparing the diagnosis of white matter injury in premature newborns with serial MR imaging and transfontanel ultrasonography findings. AJNR Am J Neuroradiol. 2003 Sep; 24(8):1661-9. Weinstein AS, Goldstein RB, Barkovich AJ. In utero disappearance of the corpus callosum secondary to extensive brain injury. J Ultrasound Med. 2003 Aug; 22(8):837-40. Robnett-Filly B, Goldstein RB, Sampior D, Hom M. Morgagni hernia: a rare form of congenital diaphragmatic hernia. J Ultrasound Med. 2003 May; 22(5):537-9. Pott Bärtsch EM, Paek BW, Yoshizawa J, Goldstein RB, Ferrell LD, Coakley FV, Harrison MR, Albanese CT. Giant fetal hepatic hemangioma. Case report and literature review. Fetal Diagn Ther. 2003 Jan-Feb; 18(1):59-64. Tsao K, Hirose S, Sydorak R, Goldstein RB, Machin GA, Albanese CT, Farmer DL. Fetal therapy for giant hepatic cysts. J Pediatr Surg. 2002 Oct; 37(10):E31. Weinstein AS, Goldstein RB. Case 1. Persistent right umbilical vein, isolated finding. J Ultrasound Med. 2002 May; 21(5):589, 605. Weinstein S, Goldstein RB, Laifer-Narin S. Case 10. Adrenal pheochromocytoma in pregnancy. J Ultrasound Med. 2002 May; 21(5):596, 614-5. Chen LL, Goldstein RB. Case 11. Benign leiomyoma. J Ultrasound Med. 2002 May; 21(5):597, 615-6. Weinstein AS, Goldstein RB. Case 12. Absent septum or septo-optic dysplasia (magnetic resonance imaging not yet performed). J Ultrasound Med. 2002 May; 21(5):598, 617. Chen LL, Goldstein RB. Case 2. Biliary hamartomas (von Meyenberg complex). J Ultrasound Med. 2002 May; 21(5):589, 606. Weinstein AS, Goldstein RB. Case 3. Thrombosed, partially calcified venous malformation associated with subdural hematoma. J Ultrasound Med. 2002 May; 21(5):590, 606-7. Chen L, Goldstein RB. Case 4. Acute autoimmune hepatitis with "collapse". J Ultrasound Med. 2002 May; 21(5):591, 608. Weinstein AS, Goldstein RB. Case 5. Beckwith-Wiedemann syndrome. J Ultrasound Med. 2002 May; 21(5):592, 609. Chen CL, Goldstein RB. Case 6. Sarcoidosis. J Ultrasound Med. 2002 May; 21(5):593, 610. Weinstein AS, Goldstein RB, Laifer-Narin S. Case 7. Hemorrhagic ovarian cyst. J Ultrasound Med. 2002 May; 21(5):594, 611-2. Chen LL, Goldstein RB. Case 8. Cloacal anomaly. J Ultrasound Med. 2002 May; 21(5):595, 612-3. Chen LL, Goldstein RB. Case 9. Incarcerated uterus. J Ultrasound Med. 2002 May; 21(5):595, 613-4. UCSF Medical Center Now in Downtown San Francisco!